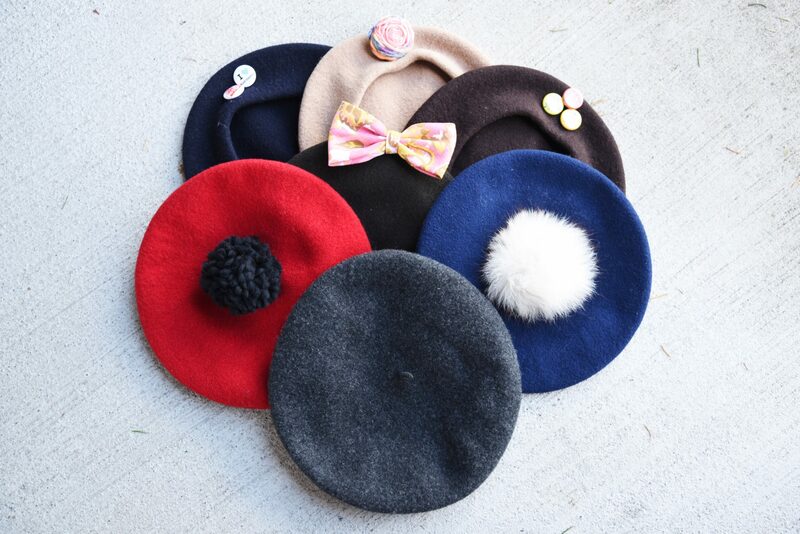 Pretty much every couple of weeks, I take a day to visit my favourite thrift stores in town. 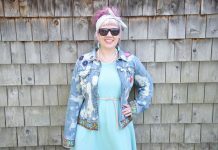 To find vintage fabric for my funky accessories line, to find other vintage goodies and to get inspired by the quirkiness of some other things. 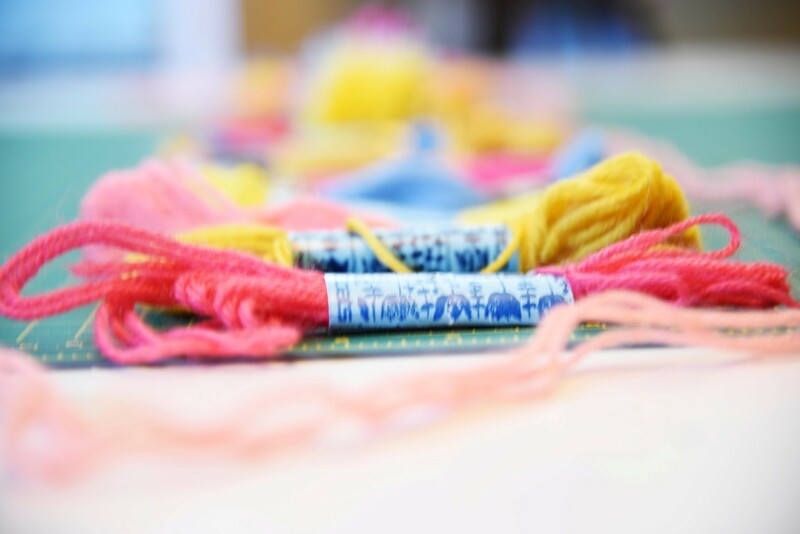 This time a bunch of tapestry wool caught my eye. 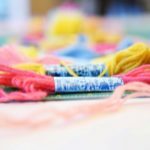 They were sorted into pastels, bright colours and neutrals. 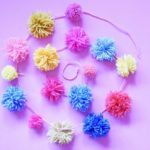 I couldn’t stop looking at the pastels + an idea started to form in my head: a pompom garland would make for a sweet addition to my living room decor especially with the holiday season just around the corner. 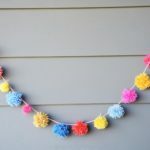 Just look at these colours, how could I not make a pompom garland? 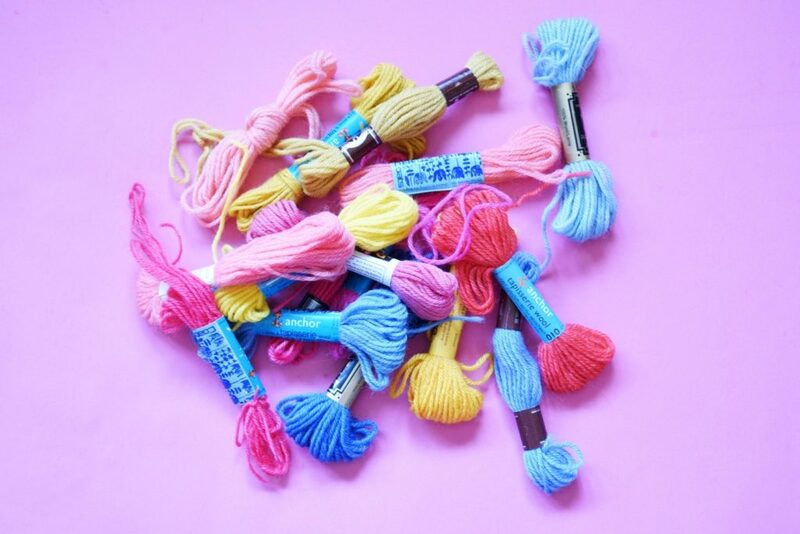 I chose different shades of yellow, blue and pink as these are the accent colours you can find all over my living area. 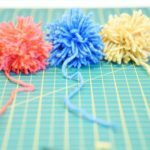 Then I organized them in the order in which I wanted to string them on the yarn and started making pompoms with my hands. 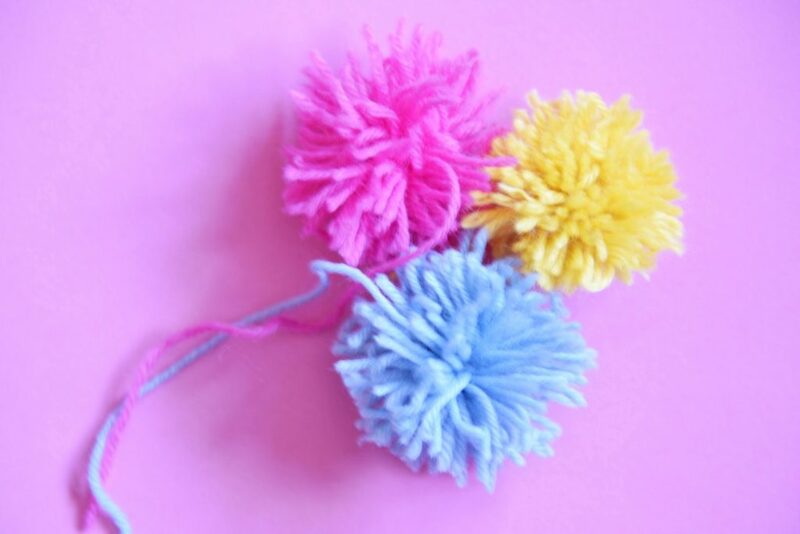 If you’ve never done that before, here’s a sweet tutorial on how to make pompoms. 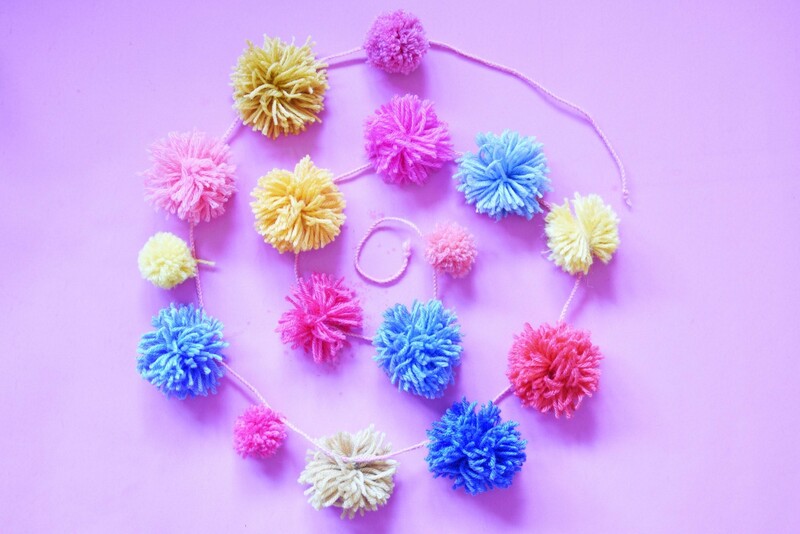 Make sure to leave a long enough string so you can tie the pompoms to your pompom garland later! 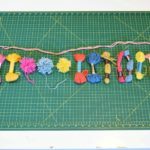 After trimming my pompoms nicely, I started making the garland part of the pompom garland: I braided a long string of yarn. Admittedly, it took me probably 20 minutes just to braid the yarn into a rope but it is worth it. 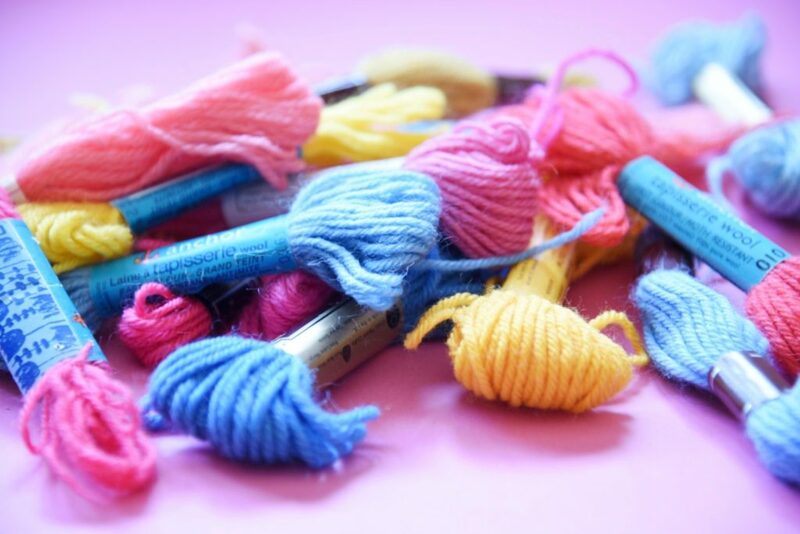 It’s so much neater than just the yarn. 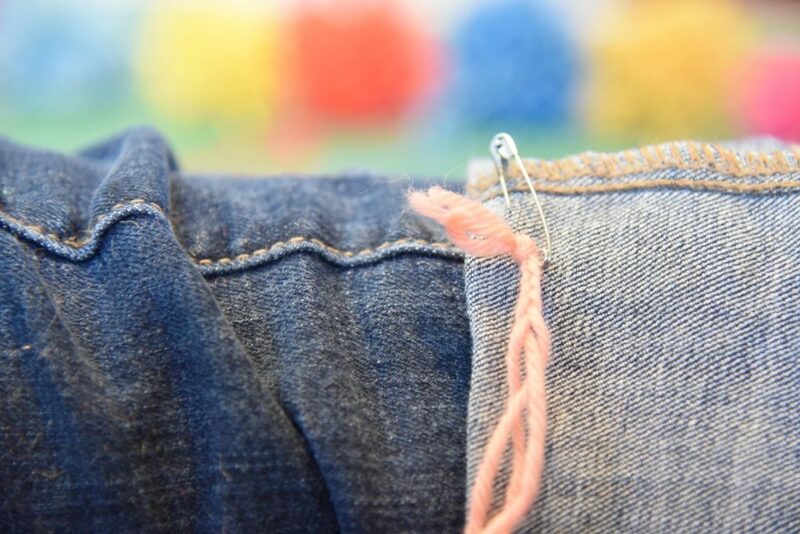 First I attached the yarn to my pants but then I realized the distance between my legs and arms wasn’t long enough, so I tied the beginning to a door, just how I used to do it as a little kid. 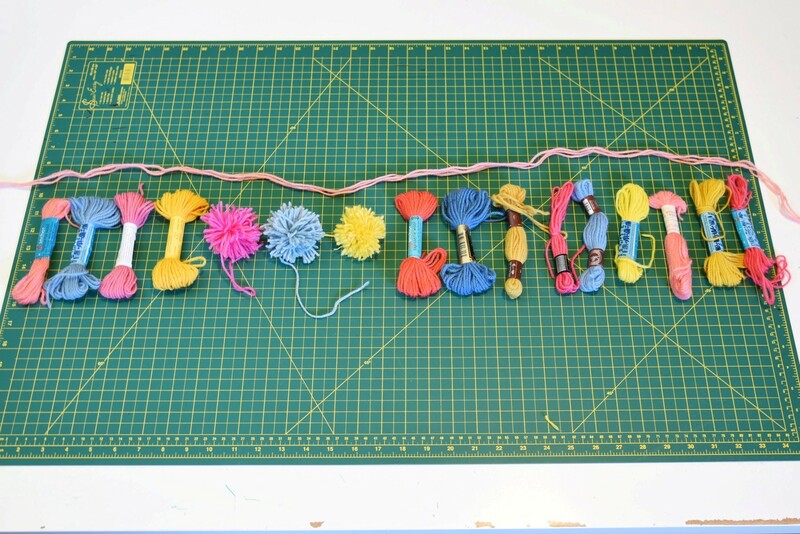 Now all that’s left to do is to tie the pompoms to the string. Oh, so pretty! 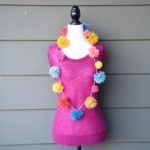 Then you can start playing with it: home decor or maybe you’d prefer them as a statement necklace? 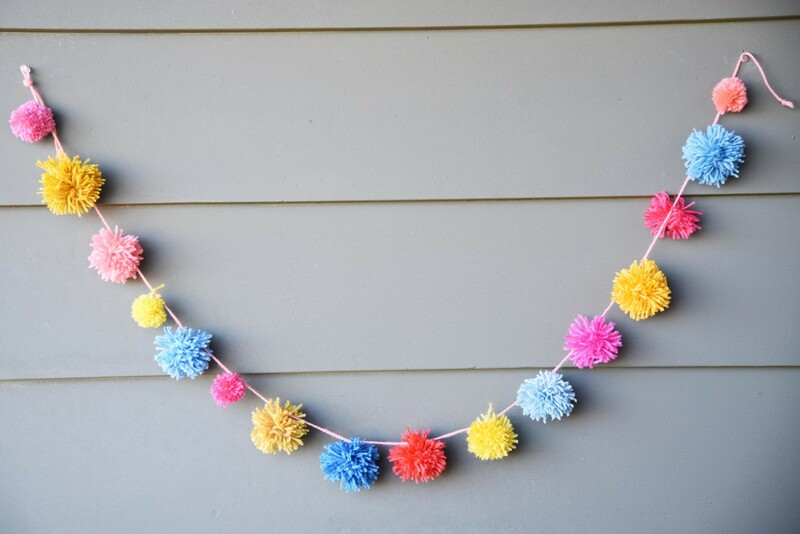 Your pompom garland can be part of your permanent home decor but it doesn’t have to be. 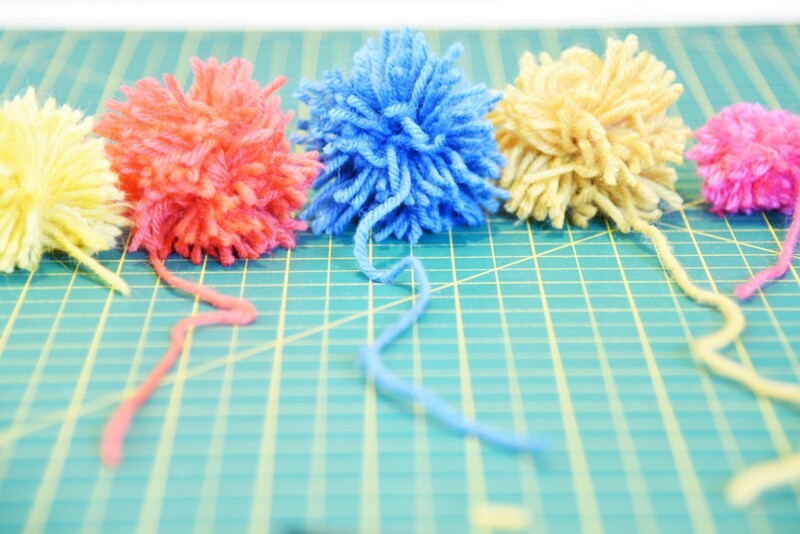 Maybe you want to make a couple of them in seasonal colours? Like a green one with a few red accents to put over a door frame instead of a mistletoe. There are no boundaries to your imagination. 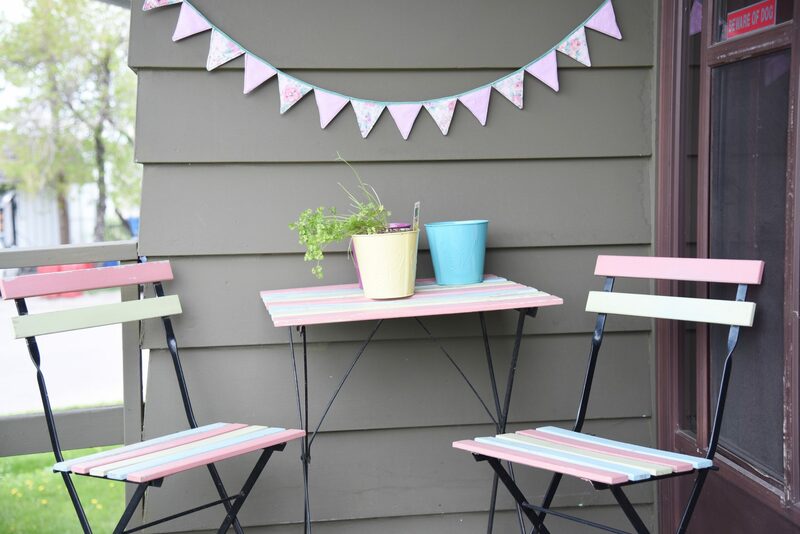 I hope you had fun with this little Maple And Oak Designs craft tutorial! 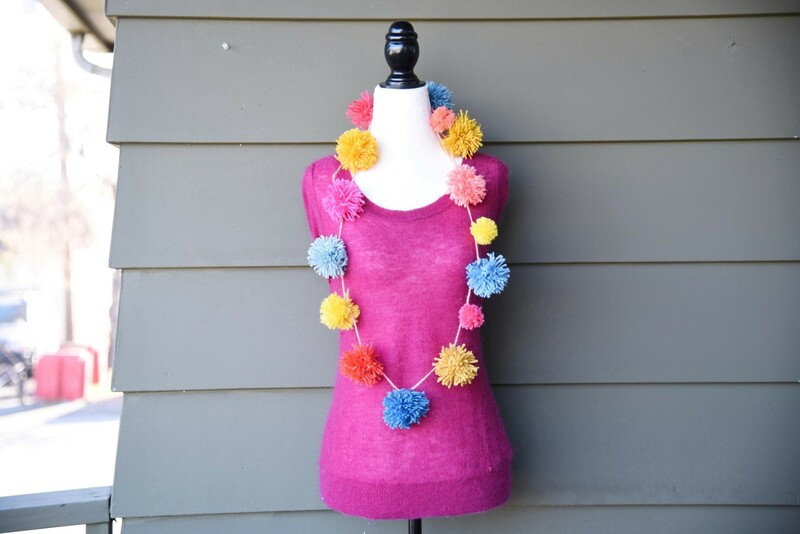 I’m a big fan of pompoms now and I can’t wait to start creating more with them.